Installation experience of over 30 years. 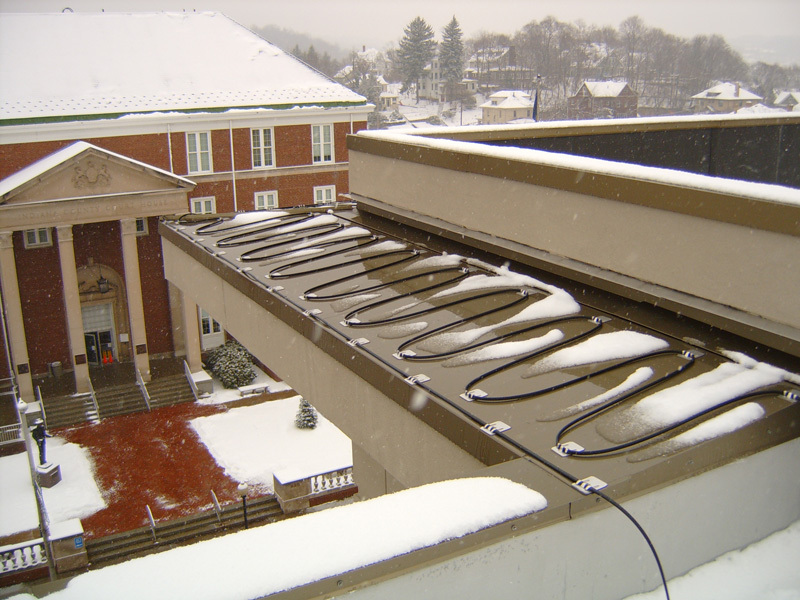 Gough SnoGuards provides a variety of SnoGuard and Snow Rail Systems suitable for any roof! Use Gough SnoGuards to help protect your family from falling snow and ice and avoid unnecessary roofing maintenance costs. 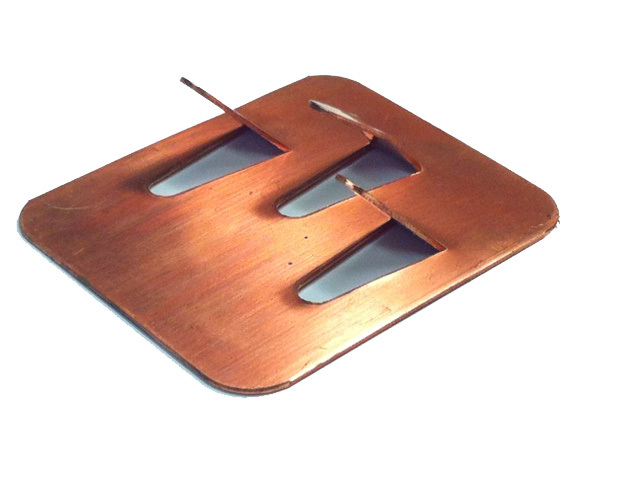 For new installation on slate, copper & asphalt shingle. 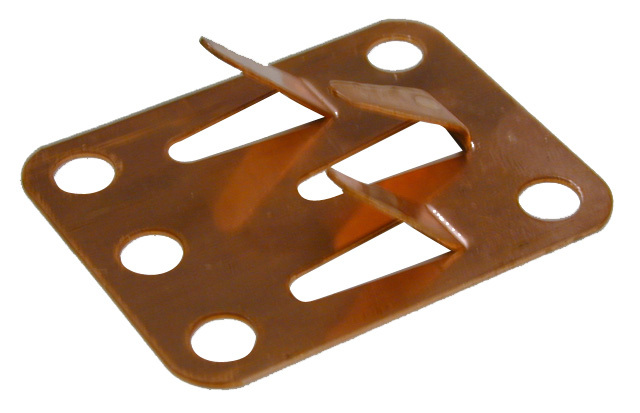 WITH SLOTTED STRAP to hook onto copper nail with any of six positions for retrofit. 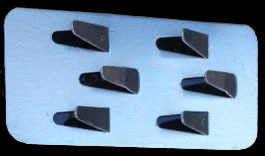 Distance from "foot" of snow guard (or bottom of slate) to slots to hook onto nails are: 9", 10", 11 1/4", 12 3/8",13 3/4" and 14 3/4". 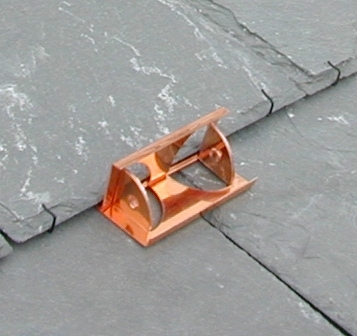 This snow guard with the slotted strap is the easiest to retrofit on slate and is less likely to damage slate during installation. Custom lengths are available. 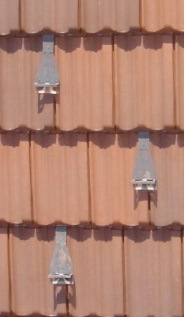 E.g., maybe longer for wood shakes, to accommodate extra long slate or to allow snow guard to sit farther down or midway down the vertical exposure when using thicker slate. WITH HOOKED STRAP to catch top of slate for retrofit. 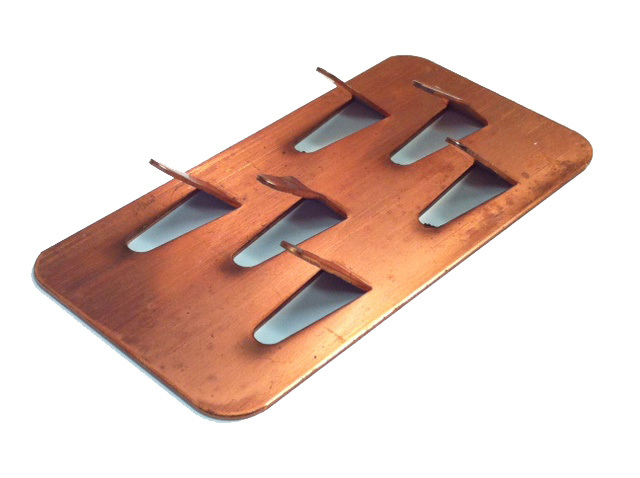 If you have a random width slate and are concerned about an even, consistent, aesthetic pattern of the snow guards, the hooked strap will allow you to select your horizontal position of the snow guard from left to right without being limited to the position of the copper nail of the slate. 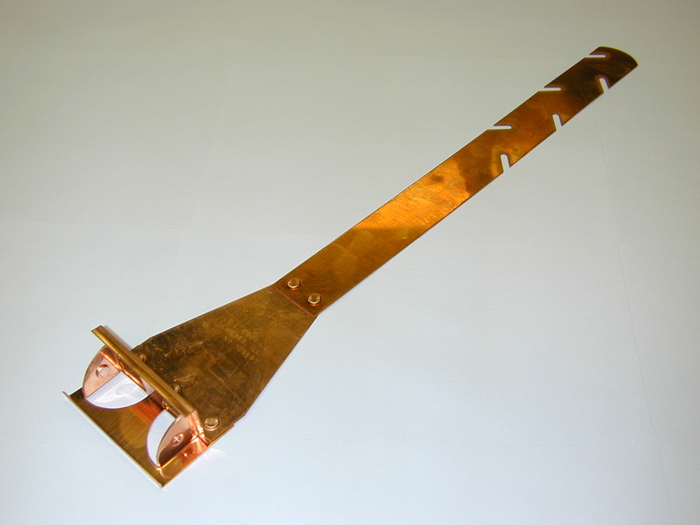 However, this can cause more broken slate during installation when lifting the slate higher to accommodate the extra thickness of the strap's hook. I don't recommend it, but some have wanted it. 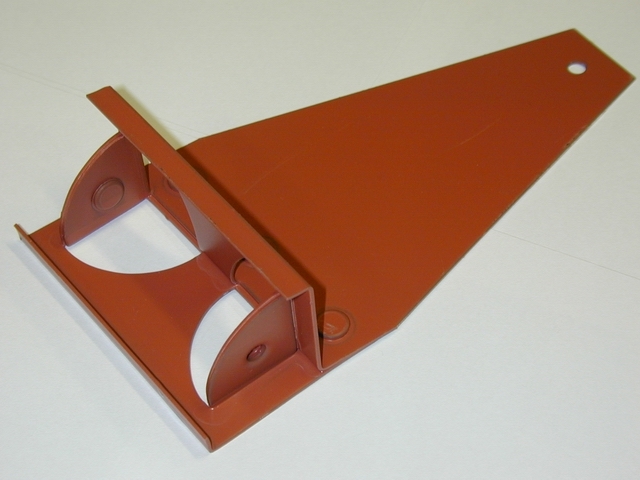 The SGPM is powder coated to a color of your choice. Please indicate what Firestone, Pac-Clad, AEP-SPAN or DuPont color most closely matches your roof panel color. Or send us a sample. 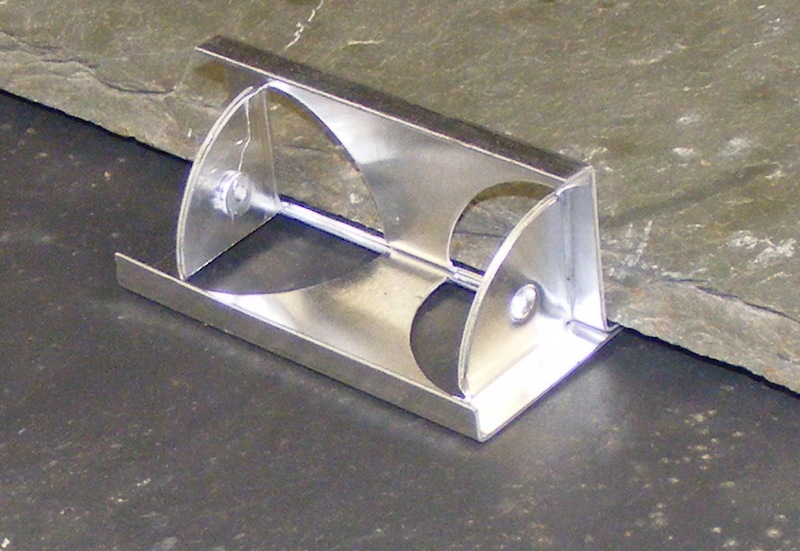 The Plain Jane is actually a SGAR made of Kynar colored aluminum or mill finish aluminum. If it is in Kynar, it is whatever color we have in stock. Therefore, they are less expensive. 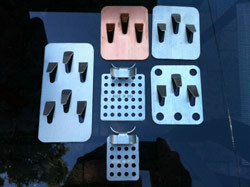 For new installation on asphalt shingles. The Plain Jane is actually a SGAR made of Kynar colored aluminum and comes in whatever color we have in stock. Therefore, they are a little less expensive. 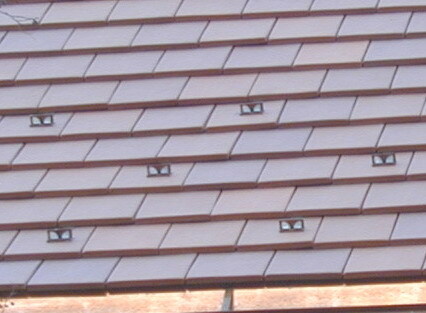 For new installation on asphalt shingle and painted metal roofs. 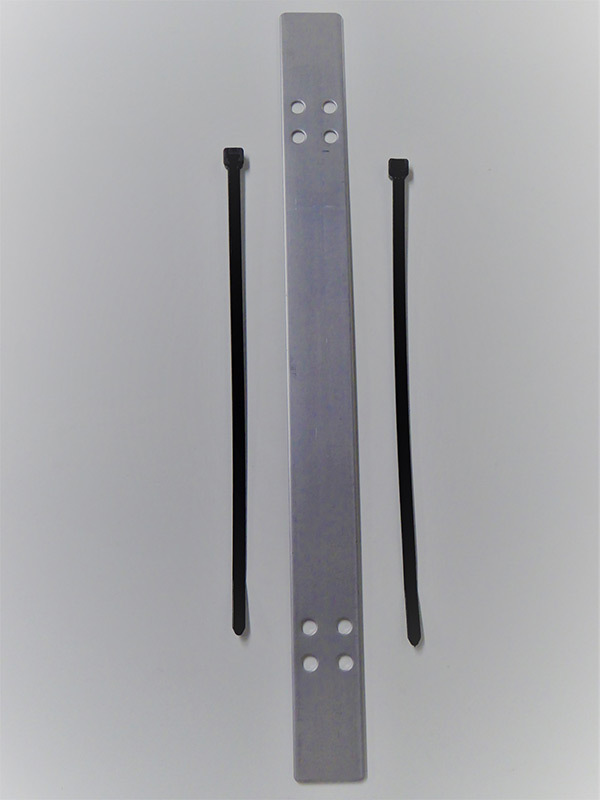 This Gough SnoGuard is powder coated to a matching color of your choice. 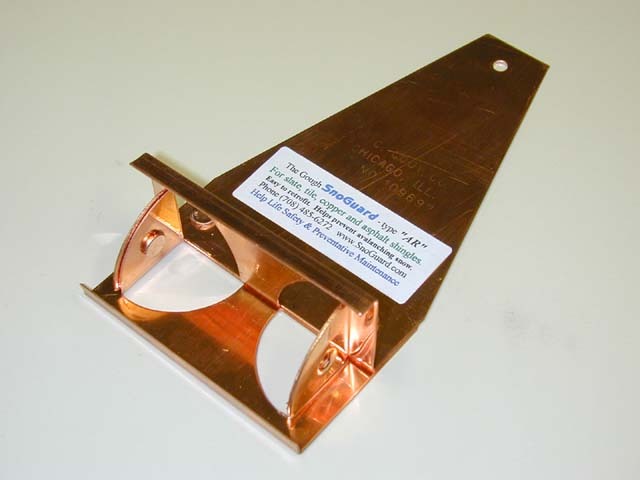 For new installation on slate, copper, asphalt shingle, etc If soldering on copper, see video under "Installation" on left. For painted metal roofs to a color of your choice. 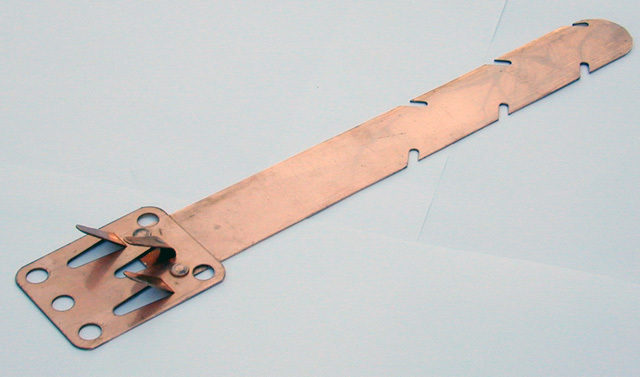 (Same as SGAR but is of a powder coated metal that will not discolor.) 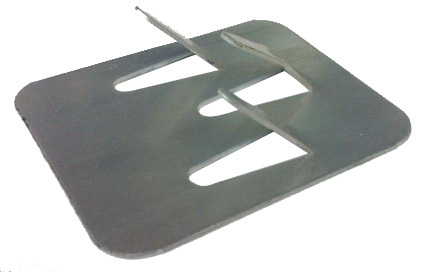 Avoids unnecessary metal roof panel penetrations and stains from steel snow guards. 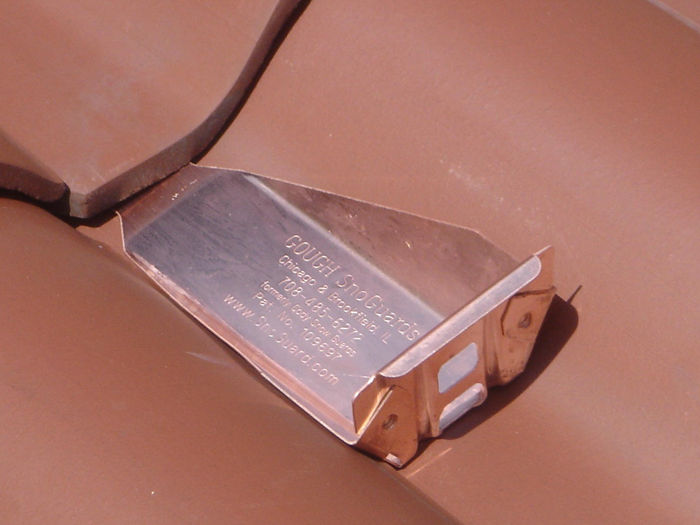 Use metal SnoGuards™ on metal roofs. For adhering SnoGuards to Painted Metal Roofs. Best if applied at a minimum of 50 degrees for a 30-day cure period. (Cooler temperatures will take a longer period of time to cure.) 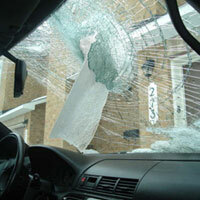 A winter-grade Sure Bond is available, but does not have the holding strength as the SB 190. 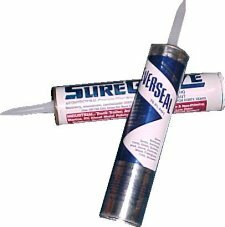 1 Tube Provides Adhesive for approximately 15 Gough SnoGuards. 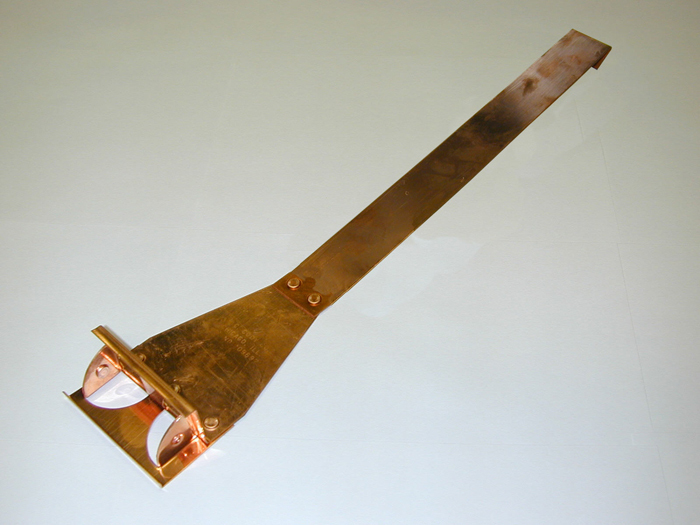 DSH - The downspout hanger is used to prevent damage to the deicing cable as it enters a downspout and to support the deicing cable once inside of the downspout. 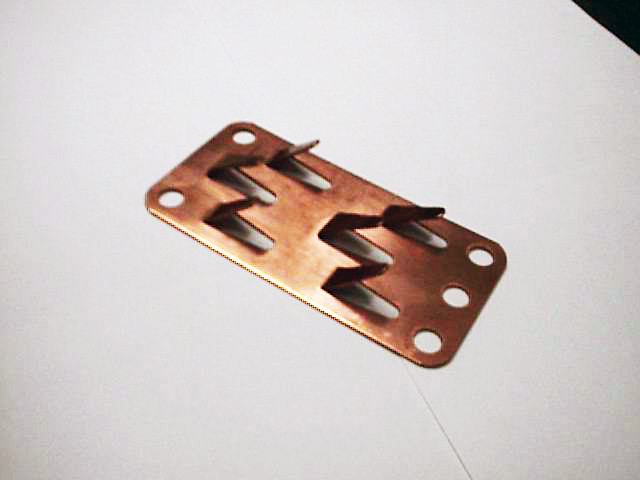 It can also protect against other sharp edges. 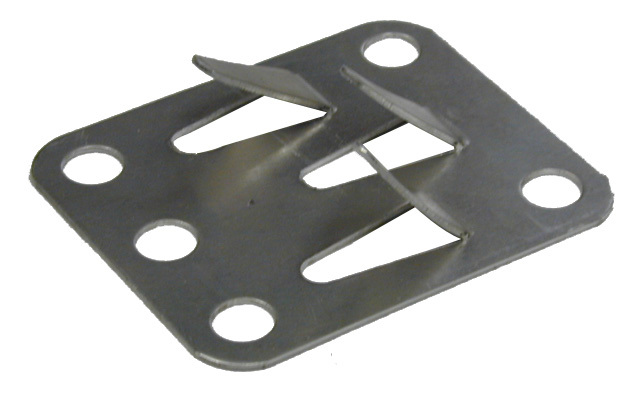 Use one downspout hanger for each deicing cable entering or exiting the top of the downspout. Instructions are included. Gough Snoguards is located in Brookfield, IL and serves Snow Retention Devices nationwide including the Chicagoland area of Lake Forest, Kenilworth, Wilmette, River Forest, Oak Park, La Grange, Western Springs, Oakbrook, Hinsdale, Glen Ellyn, Wheaton, Aurora, Beverly, and more!